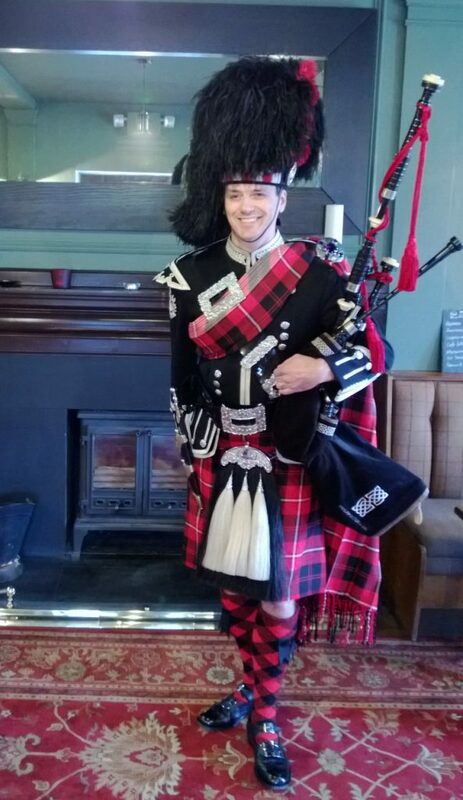 Gary is a London based bagpiper. He was taught to play the pipes at Queen Victoria School, Dunblane, Perthshire. This is Scotland's memorial to Queen Victoria and for the sons and daughters of Scottish Service personnel. 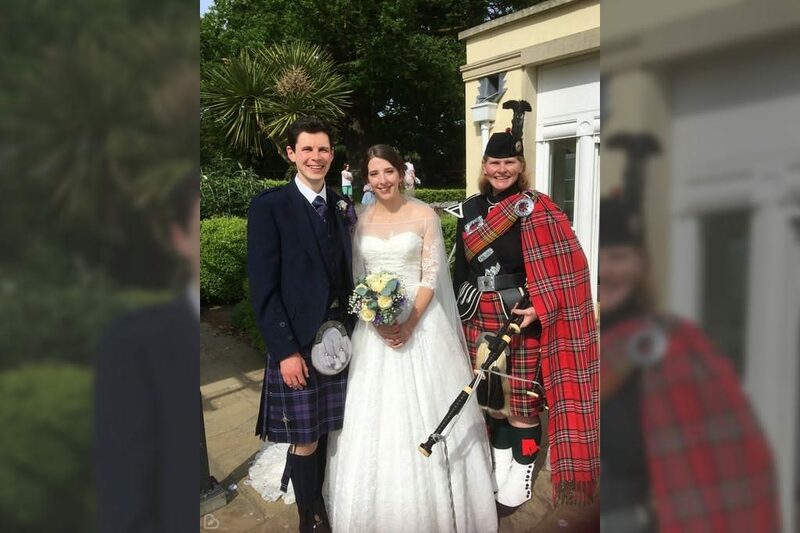 Gary is currently a member of the London Scottish Regiment TA Pipe Band with whom he has travelled to Northern Italy, The Hague, Northern Spain, Gibraltar and the Battlefields of France and Flanders on numerous occasions. Gary is in fact a former employee of the Commonwealth war Graves Commission ( and an ex Metropolitan Police Detective) . This year, 2011, Gary has piped at 15 Burns Suppers which included Masonic Dinners, Pubs, Golf Clubs, a BUPA Care Home, private homes and The Kennel Club. In April he was the guest of the British Ambassador to UZBEKISTAN with a drummer from the London Scottish Regiment. There he performed at the Queen’s Birthday Party and Royal Wedding Celebrations at the Ambassador’s residence in Tashkent. Performances with the Uzbekistan State Conservatory for Young Musicians and the Band of the Ministry of the Interior were also included. In June, with the London Scottish, he was part of the Massed Pipes and Drums of the Household Division who Beat Retreat on Horseguards with HRH Prince Phillip taking the Salute one evening in celebration of his 90th birthday. 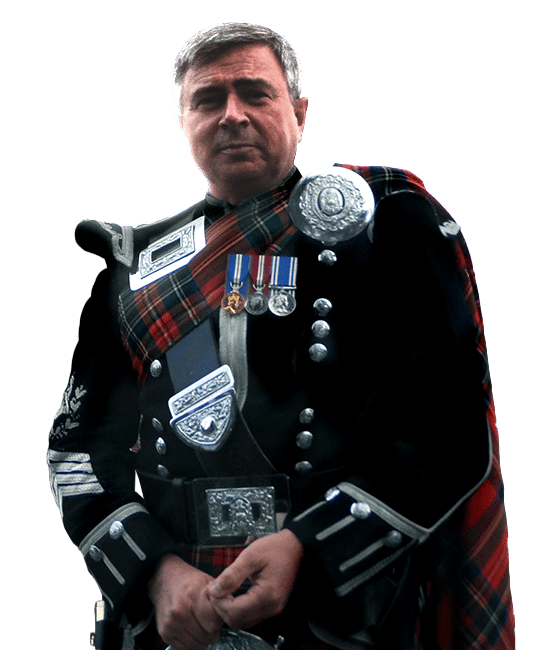 In December Gary will be taking part in the British Military Tattoo at Earls Court for a second year, again with the London Scottish Regiment. As the 'Appointed Piper' to a few Masonic Lodges around London, Gary is able to assist with Festive Boards and Ladies Night's. With his singing Brother, Tom Quinn, they can provide Scottish themed evenings and are both well known for their BURNS' Nights. 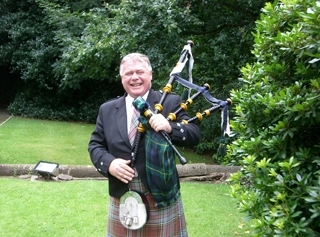 Gary can advise from a wealth of piping experience in making your occasion just that little bit more memorable.